Over the past 48 hours #GamerGate opponents have been spreading a narrative about how #GamerGate is a dying (it’s hovering around 50k tweets per day), or it’s popularity picked up because of those attacking it. Opponents have also crusaded against Women and People of Color stating that their support of #GamerGate is nothing more than 4chan creating fake accounts. It’s clear that #GamerGate is not irrelevant, yet the opponents say otherwise. If you ask me. #GamerGate has won. I don’t expect widespread changes in gaming news anytime soon, but the call for relevant journalism, fair reporting, and fair practices in the industry has been well noted. Sites, bloggers, etc. can no longer ignore the cry of the gamer. As much as they would like to drown their voices, gamers are ultimately the consumer, and these feelings may hit the wallets of advertisers and developers. Opponents will continute to attack #GamerGate. There will be those who will try to project the actions of a few extreme people to the entire mmovement These things occur when one side loses an argument. Projection is a surefire way to rile up the emotions of the opposition, and they have done a good job charging those people up, however, it proved to energize #GamerGate supporters as well. #GamerGate has won. Gamers have a voice, even if it is only through a twitter hashtag. 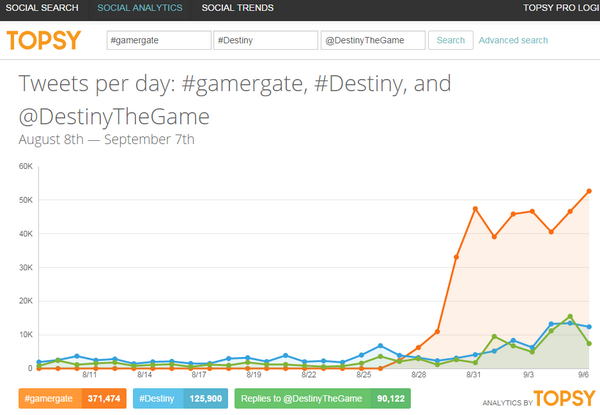 Don’t let the opposition fool you otherwise into thinking your voice doesn’t matter… that #GamerGate doesn’t matter. Those in support of #GamerGate have legitimate concern about the direction and integrity of the industry. The cronyism, racketeering, and vicious attacks of the consumer must be put to an end. We’re on the way to reaching this reality. Now go play some Video Games! Edit: I want to shout out two great sources of gaming news. Check out Nintendo Life, and Push Square for Nintendo and Sony news respectively. Here, Here! Lets play some games!